As great as it is to finally have the Monorail cruising through our towns, many of us have had to put our track construction plans on the shelf as we are plagued with the many issues the event has brought with it. One of the most severe issues many players are facing still almost a week into the event is a glitch that will cause your game to freeze and ultimately shut down triggers when certain buildings in their town which has been dumped with garbage is tapped and also when attempting to dump garbage on certain buildings in neighboring towns. And for myself to the point which the event is nearly unplayable or at least playable if you skip an entire aspect of it, what fun is that? Unfortunately this huge issue does not appear to be Priority #1 for EA, or it is and it is a problem that is taking some serious doing to fix. We don’t know because EA DOES NOT OPENLY COMMUNICATE WITH IT’S CUSTOMERS, RIGHT EA? So, I’ve come to you, the reader’s in my mission to at least find the root cause of this train robbing, party pooper of a bug. I’d like to see if the building’s that crash your games have any pattern or similarity. Are you keeping track of which one’s shut you down? I am, I have to or else I can’t play the event at all. Rather than create a poll with a hundred buildings in it, I’m asking you to neatly list which buildings you’ve recorded as “Do Not Touch.” This way we can, together, try to get to the bottom of this mess. I will also share my list in this post once I feel I have all of them documented. do you have the rail yard? You shouldnt be able to have it on a Windows phone at all since that is not an approved device for this game. No agreements has been reached between Windows and EA regarding this game. Why, we can only guess. It’s getting very annoying that after 5 seconds of login, pfff… it freezes my whole device freezes.. Need to re-start the device as all is frozen. This is making the event tiresome. What is a pity, as the idea is great. EA has no clue what customer service means. They so old fashioanable for a company dealing with XXI century entretainment. Then, they come with that pathetic line last event … the one of the “whales and donuts” .. “”nobody is spending money on donuts, bwuaaaa 😥 :-(“” … and you, EA, wonder why? As of yesterday I am having major issues. I no longer have a monorail but my stations and track remain. 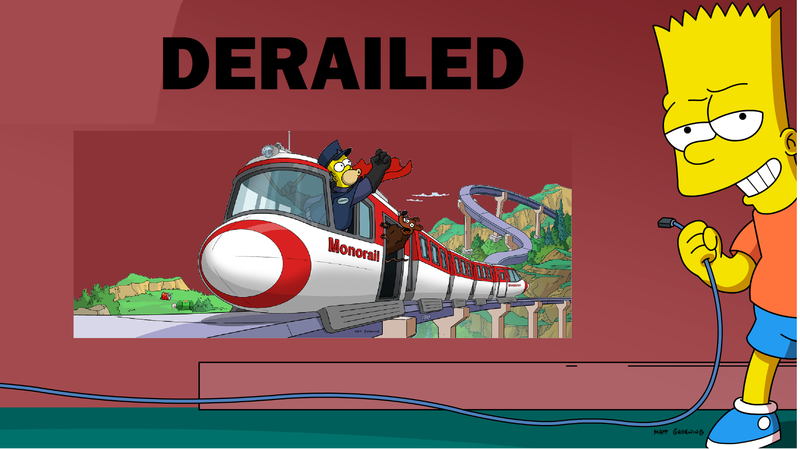 Any attempts at moving any buildings in my town causes the monorail to disappear completely. I can’t complete the daily tasks it is no longer an option. My garbage pile disappears and reappears and now causes me to go searching for the characters to that I can collect garbage. I no longer get any critters running around my town. This update is now unplayable!!! Such a shame. As of this morning as soon as it opens and I go to tap on the daily bonus it freezes. I haven’t been able to play all day. My husbands keeps freezing but can still play. Mine seems to be almost completely random. It freezes as I assign jobs, as I am clearing buildings, or even as I simply move about my town, with no real pattern evident. Worst offenders seem to be assigning people jobs to get latte or clearing jobs at the city dump but it can happen at any moment, usually about every 3-4 minutes. Because I am persistent and patient, I have kept up with the event but it’s super frustrating. Never before has anything caused me to actually hit my iPad screen with my fist (gently so far). Sure hope EA is at least looking at the problem. I’ve had several crashes. Most are no big deal, just restart game and all is good. But one crash happened towards the end of Pt. 1. I had just completed a track bonus by reaching a blueprint threshold, and the game crashed when I tapped on the (straight) track piece to place it. Restarted game, and bonus goal had already moved on to next goal. No track piece anywhere, including inventory. Didn’t even show up when i reached the next goal and got my piece. Gone forever. I’m having the exact same problem. Very frustrating!!! However, I’m glad I found this thread. I thought it was a problem with my iPad. This is basically killing my event. At first I can tap buildings and clear garbage but eventually a building will lock and once it has locked, it never clears garbage and kicks me out of game. I got nowhere near the main prisze in act 1 because of it. I have about 40 buildings trapped with garbage at the.moment. My problem was the game wouldn’t let me visit friends without crashing. I also didn’t get the last three prizes in Act 1. I was hopeful they would give us extra time to make up for all the glitches. I’ve been playing a really long time and this event has been so extra frustrating.